UNDER RENOVATION: The temporary site of Lawas Hospital. 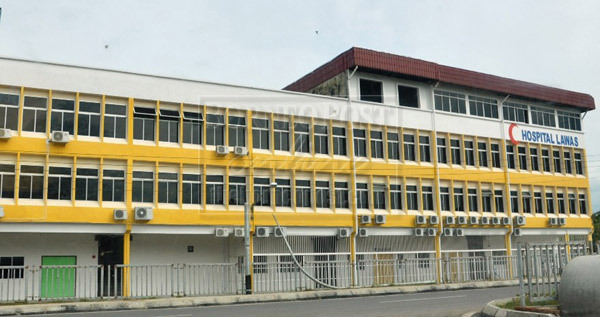 LAWAS: Folk here urged the Ministry of Health to speed up the renovation works of a rented row of new shophouses, which will temporarily house Lawas Hospital, to facilitate the construction of a new hospital. They said that the delay was badly affecting them. The earth breaking ceremony of the new hospital project was performed by Prime Minister Datuk Seri Najib Tun Razak about two years ago before the last state election, but delays continue to baffle locals as the project was supposed to have taken off in the 7th Malaysia Plan. Local folk had looked forward for the project to take off with the announcement, which will replace the run-down hospital as it is unable to cater for the needs of over 40,000 people in the district. PBB Bukit Sari Youth gave their thumbs down to the poor KPI by the Ministry of Health in delivering Lawas Hospital, saying that the people’s welfare was affected and that the local political leaders had already tried their best to get the project approved for implementation.